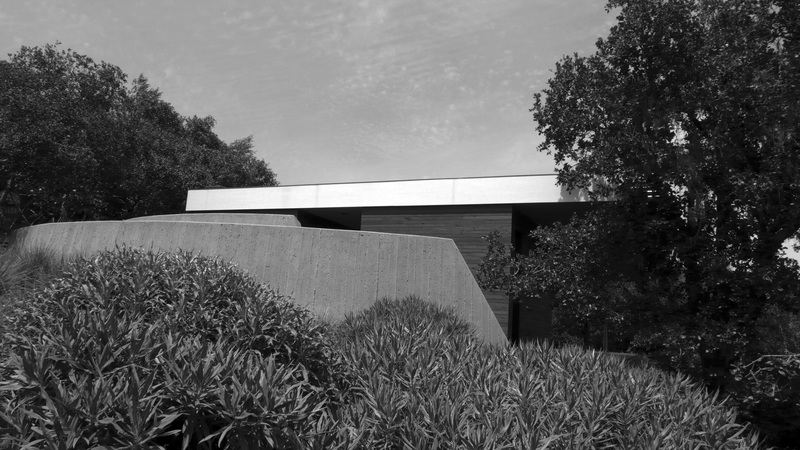 The Sonoma Retreat aims to investigate and challenge ideas of private and semi-private domestic space within the framework of a once neglected residential parcel above the town of Sonoma in Northern California. 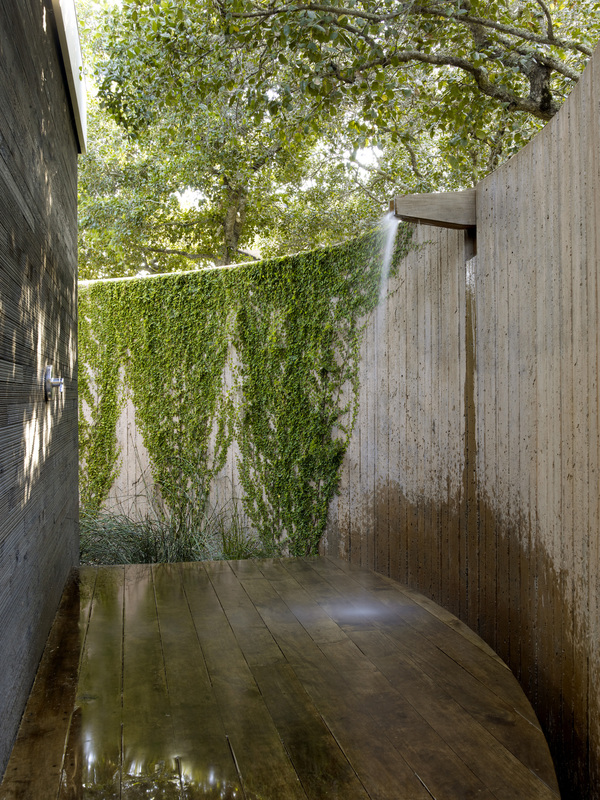 Through subtle manipulations in grade, the careful selection of planting materials and the insertion of discrete architectural elements, a new sequence of paths and spaces was created that range from the communal to the very private. 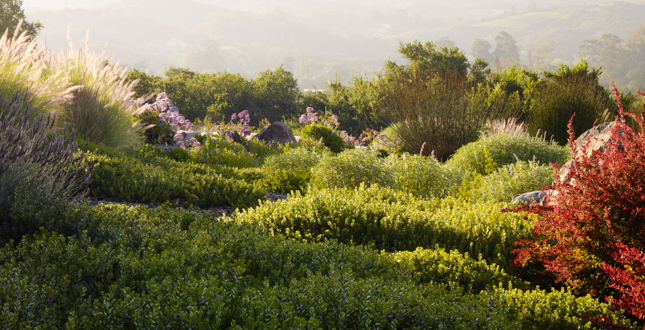 Located on a south sloping ten-acre parcel, the Sonoma Retreat was created to revitalize an existing residence for a South African family now transplanted in San Francisco. 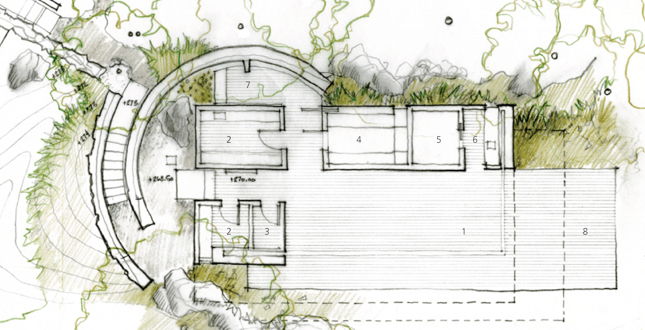 The design involved reclaiming an overgrown hillside to the south of their existing rammed earth house with the hopes of restoring vibrancy to the land, preserving the natural features and enhancing the panoramic views. Working closely with the clients to create an architecture that referenced aspects of their former home in South Africa, it was important to counterbalance the rustic with the refined; a modernism of clean lines that worked in concert with the warm patina of reclaimed teak, hand formed concrete, bush hammered stone and sun weathered cedar. 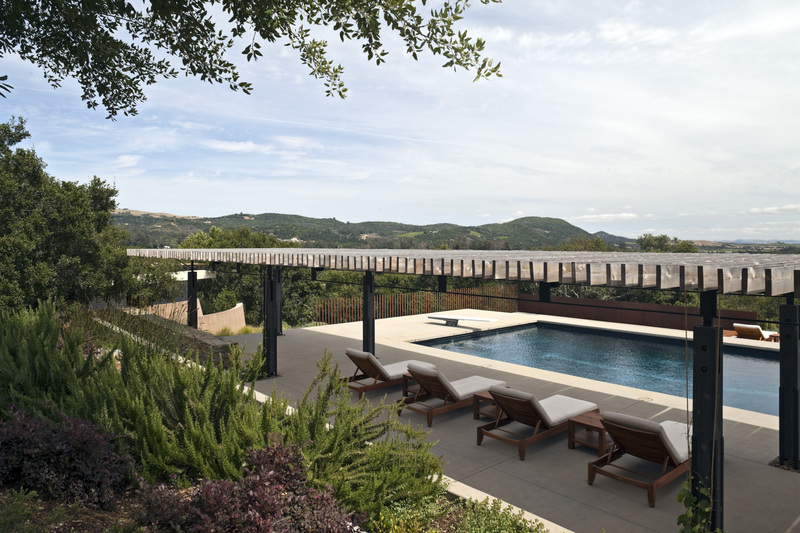 The project's ambitious agenda was to create an outdoor kitchen and dining area, a solar heated swimming pool and spa, Croquet and Bocce courts and a hidden exercise/meditation pavilion all within a small section of the property constrained by wooded areas of chaparral. 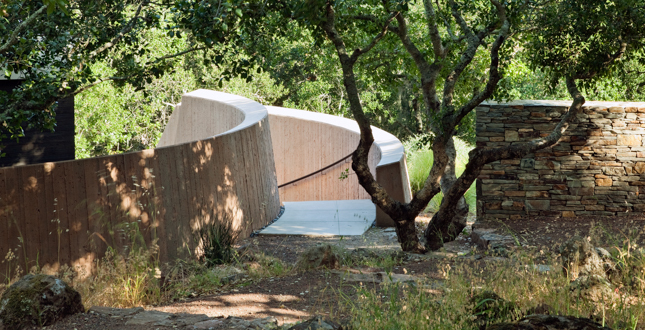 Through a strategy of subtle terracing, rustic hardscape and organic paths, a framework was created that navigates the existing rock outcroppings and weaves a variety of individual program elements and plant materials subtly into the indigenous landscape. 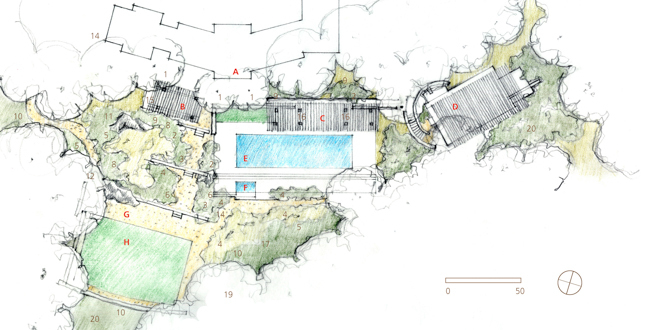 The path from the house down to the pool is organized around a series of terraces that are defined by board formed concrete and weathered stacked stonewalls. 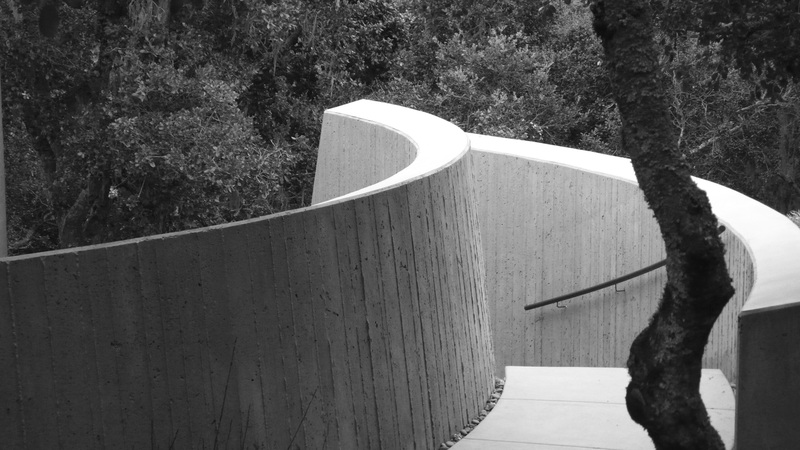 These create indirect paths, perpendicular to the slope, that help to knit together the natural and man-made while redirecting one's experience toward the immediate landscape. 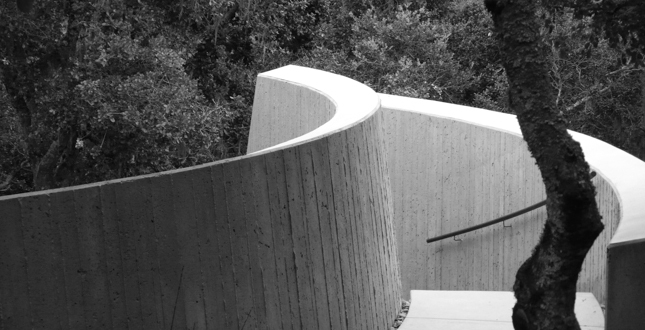 Below the new outdoor dining area are a rhythmic series of concrete benches that retain the hillside and add structure to the surrounding paths and vegetation. This provides a private place to sit and read or simply watch the activities on the Croquet court below. 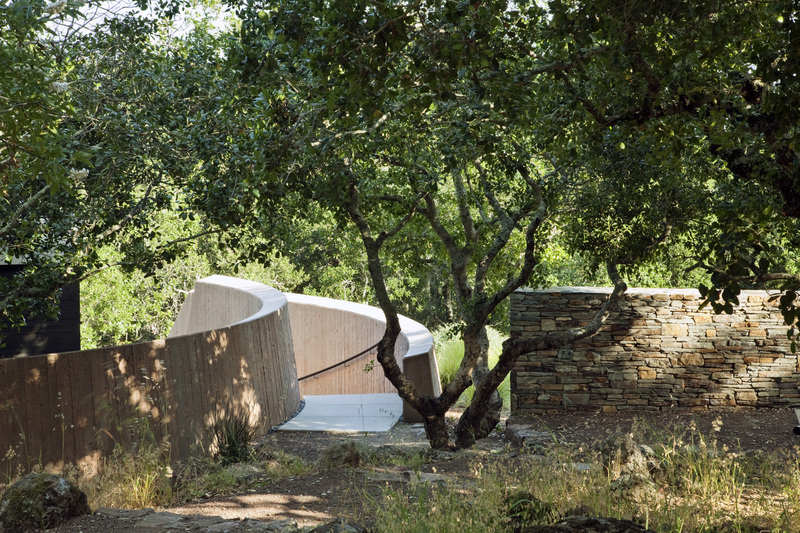 Partially Hidden to the east of the pool amongst a grove of Oaks, Manzanita and Madrone, two curved earthen walls gently carve into the landscape to create the entry to the intimate pavilion below. Topography, orientation and landscape are all considered in the choreography of experience, heightening one's sense of discovery, privacy and ultimately the serenity of escape. 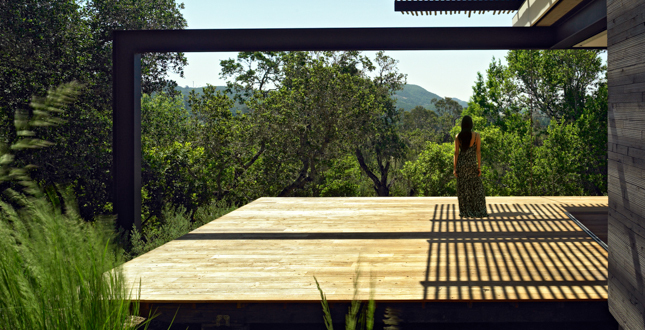 Inherent in the idea of creating a retreat are imbedded concepts of privacy, safety and refuge. 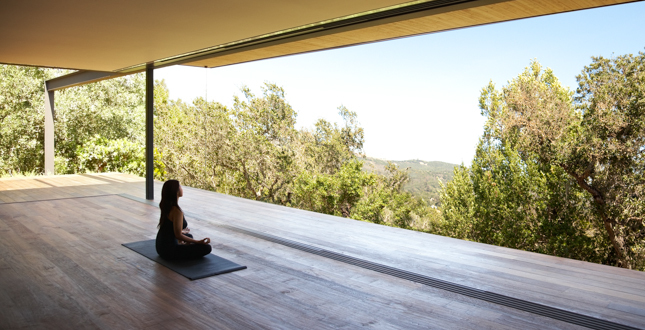 By creating a private space away from the frenetic rhythms of the everyday, one finds the possibility to relax, to reconnect with oneself and more completely understand the natural environment that is all around. It is through this separation from the everyday, this quieting of the mind, that a deeper connection is understood with the self. 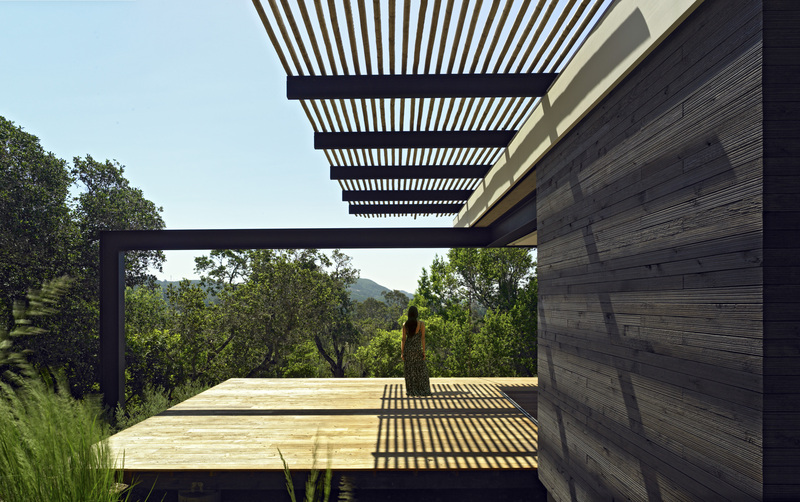 The design of the pavilion seeks to foster self discovery not only by creating a sense of privacy through it's many layers, but once inhabited, aspires to dissolve away leaving the inhabitant and nature to become reacquainted. 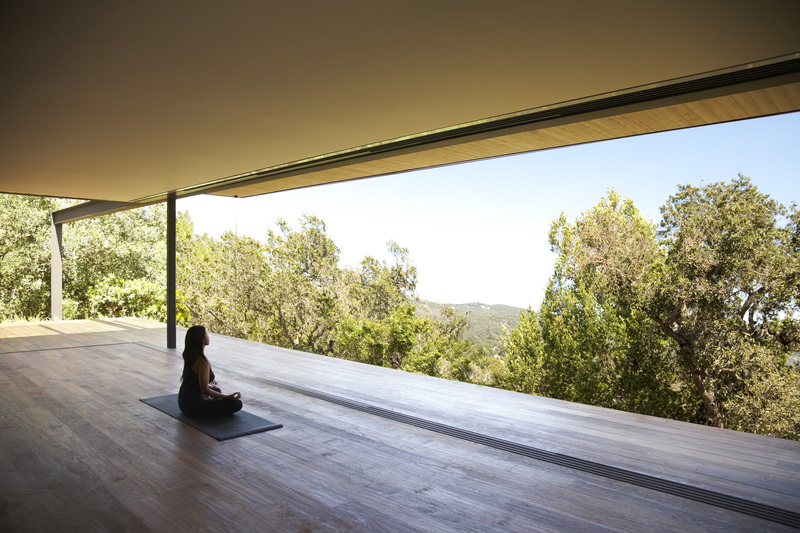 The program for the pavilion involved the creation of a primary meditation / workout / yoga studio with an adjacent steam room, changing rooms, bathroom, refreshment bar, private sundeck and an outdoor shower. The building's form is defined by a collection of simple rustic cedar boxes that provide a counterpoint to the surrounding landscape. 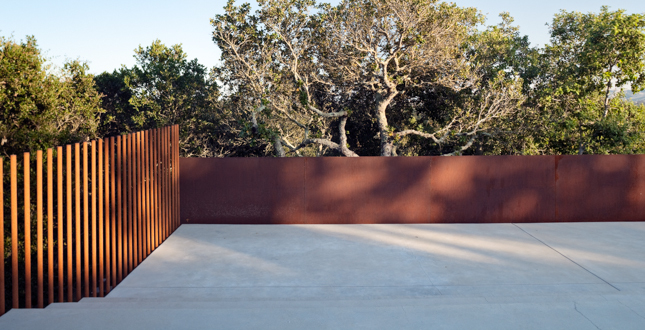 These boxes not only define and anchor the contiguous spaces, but they create visual apertures that act to frame features of the natural environment. 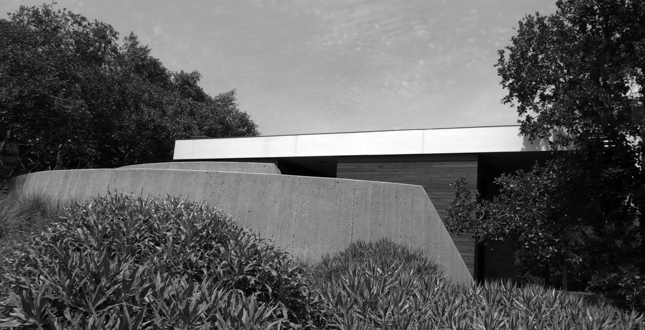 The rectilinear forms are in turn cradled by the curved retaining walls, which take their cues from the idea of an African “boma” or enclosure. 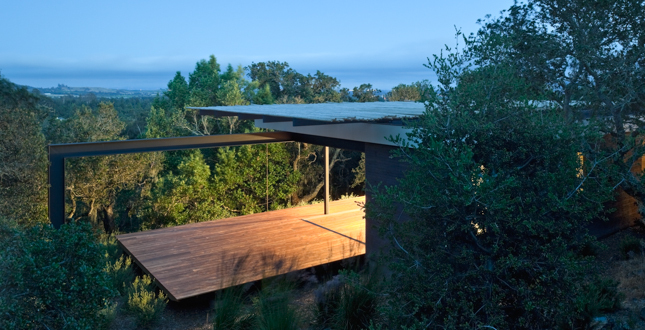 A floating deck of reclaimed teak extends interior space out into a sea of Westringia obscuring the boundaries between inside and outside. 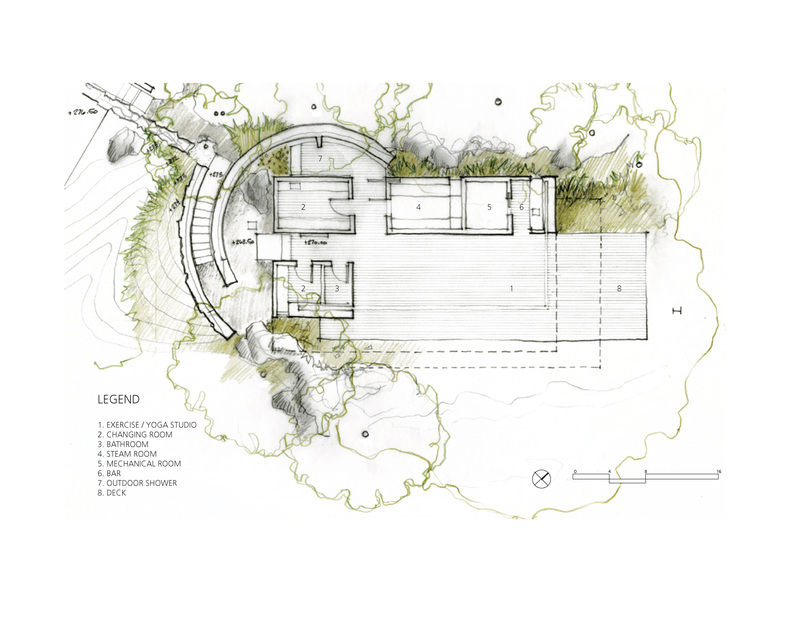 The siting of the architecture and the configuration of the plan use the building's mass and the natural topography to screen the retreat from its surrounds while preserving panoramic views to the southeast. 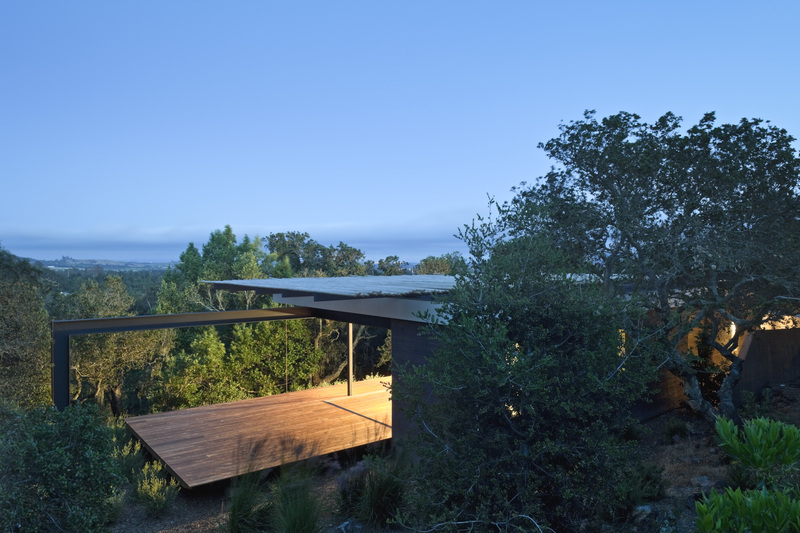 A canopy of cantilevered lodgepole pine is encouraged to naturally twist and silver, and floats above the roof, providing much needed shade to the sundeck below. Oak and Manzanita trees to the south provide additional dappled shade and in areas open up to reveal glimpses of the nearby foothills beyond. The swimming pool, heated spa and shade trellis are the focal point of family gatherings and larger parties. The trellis on the north side of the pool provides much needed shade and acts as an armature for several climbing grape vines. 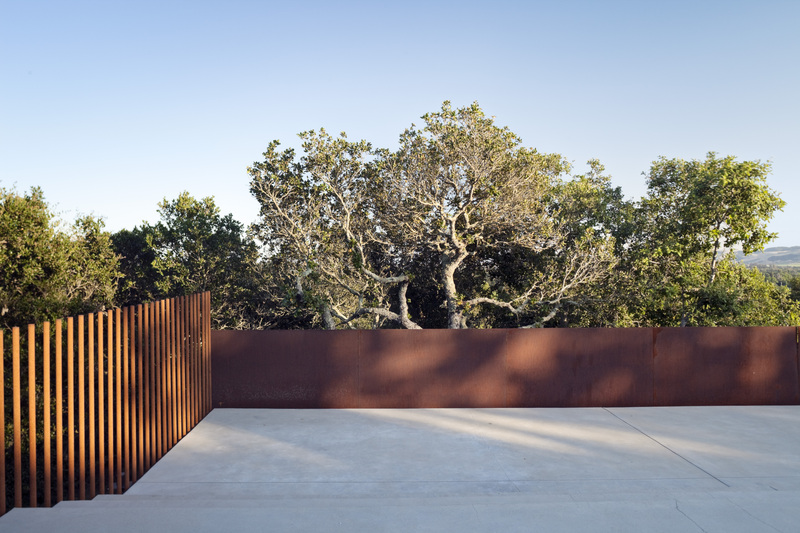 The steel Vierendeel truss of the trellis allows for long, open spans and its' lightness acts as a visual counterpoint to the rusticated cedar of the trellis's columns and purlins. Several steps down and visually hidden on the lower pool deck behind a screen of Mexican Sage and Fountain Grass is a heated spa that offers a semi-private place to relax while taking in the immediate landscape and views of the valley below. 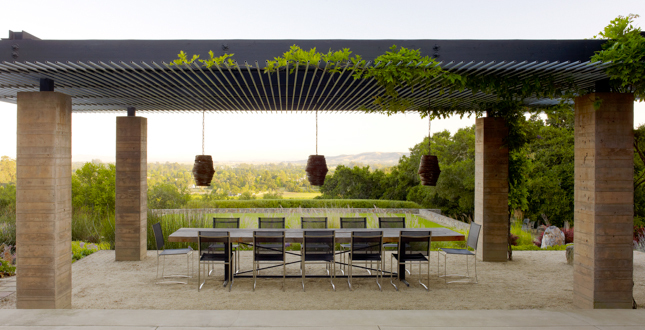 From the outdoor kitchen it is a short walk to a series of steps that take you down into an outdoor dining room that appears to float in the landscape. 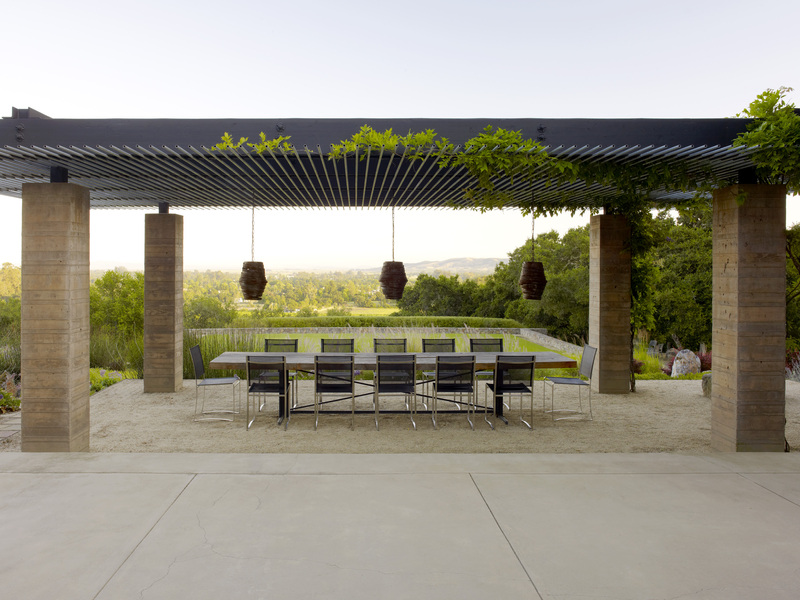 The illusion is strengthened by a trellis that defines space through its' large board formed concrete columns and a “ceiling” of delicate galvanized pipe. The area is illuminated at night by a series of rustic steel “beehive” light fixtures that create a glowing play of light and sense of intimacy during family dinners. 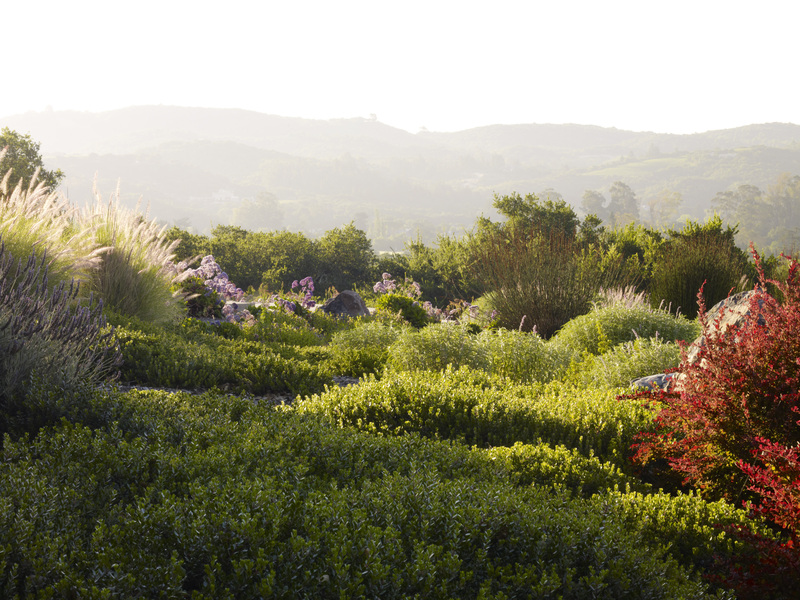 All of the planting materials used throughout the project are drought tolerant and are minimally irrigated. The entire retreat was carefully sited amongst the existing trees to minimize the projects impact on the tree's fragile root network while also taking advantage of the shade the trees could provide. 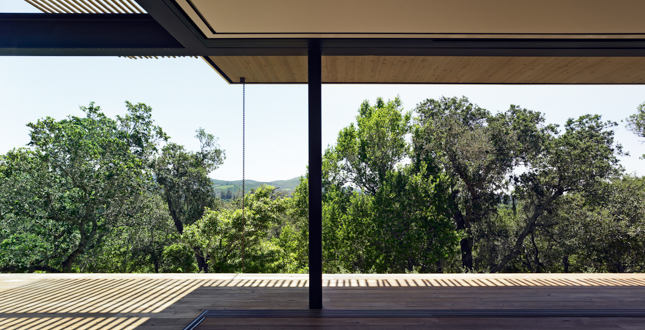 At the pavilion, deep roof overhangs allow for solar heat gain in the Winter and provide shade from the intense California sun during the Summer. The curved board formed concrete walls also aid in regulating temperature by providing additional thermal ballast that helps to maintain the interior temperature. When weather permits, the entire south and east glazed facades of the pavilion slide away and completely retract into the walls. This facilitates airflow through the building and eliminates the need for conditioned air. 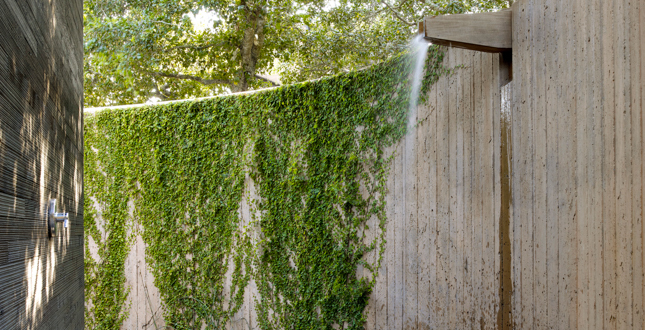 The building's cedar skin is constructed as a rain screen and deters the capillary action from driving rain found in typical construction. This allows the building to breathe, ultimately leading to greater longevity. Almost all of the finished materials within the retreat are reclaimed. The floors, decks and benches came from reclaimed teak timbers. The stone basins within the steam room and changing room were carved from larger pieces of reclaimed limestone. 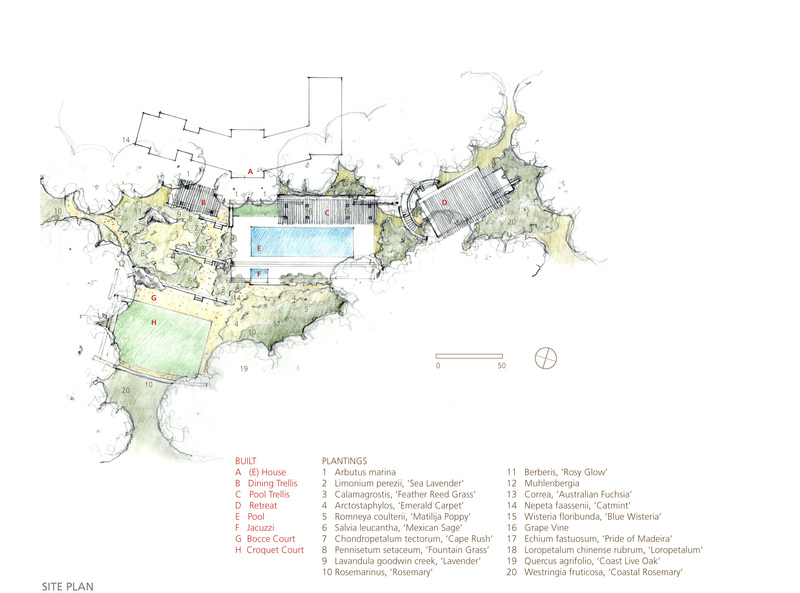 Finally, the pool is heated by a solar hydronic system and much of the building's yearly electrical load is offset by an array of photovoltaic solar panels that are hidden from view on the southern slope of the site below the Croquet court. Reclaimed Teak Tops: Rode Bros.